Last night, in the fog that accompanies half-sleep and 2am, I tried to calculate the odds that we’d have a night in the near future where both kids slept through the night without requiring any assistance. The Little Boy had been doing very well, but a newfound interest in trying to crawl and some teething have put him down at something like a 90% chance of at least one wake-up. The Little Girl hasn’t been terribly interested in sleeping for quite a while now, and her rate of wake-up is probably somewhere in the 70% range. Taking them together, on any given night, we have just a 3% chance that neither child will awaken in the night and need a change or a bottle or a cover or whatever. That’s how I spent my wee hours. Although it’s been an uneven year for Jeff Samardzija (his “good” has been very good, and his “bad” has been a five-run sixth inning out of nowhere), he has topped the 200 inning mark and the 200 strikeout mark. 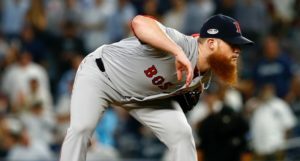 Per Patrick Mooney and Carrie Muskat, he joins an elite list of guys who’ve done that so far this year: Clayton Kershaw, Justin Verlander, Cliff Lee, Chris Sale, Adam Wainwright, and Max Scherzer. Samardzija tells the Tribune that he’s learning more about his body each year, and he’s got a different plan of attack for the offseason (not as much rest) this time around. 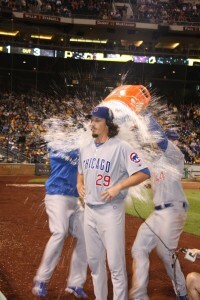 Extension discussions remain in the background of all things Samardzija. Dale Sveum hopes Starlin Castro, Anthony Rizzo, and Darwin Barney have great final weeks to the season so that they can have something nice to think about during the long winter months. Speaking of Rizzo, it sounds like he has the right idea about his 2013 season – the batting average looks ugly, is dragging everything else down, and is probably partially due to bad luck. 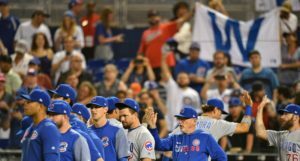 It sounds like the Cubs are already feeling better about the bullpen going into 2014 than they were at the start of 2013. I am inclined to agree, but only in terms of the depth of serviceable arms. The Cubs have far more quality options available to fill jobs. But I am still suspicious of the back-end. 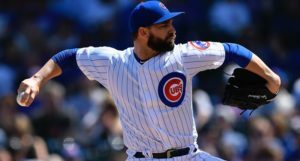 I doubt we’ll see the Cubs make a big addition in the pen in the offseason, but, if they do, it would be nice if it were another hard-throwing, late-inning type. Random, Starling Marte note: last night was the second time I can remember him taking an outside corner, two-strike breaking pitch out to left field against the Cubs in a critical situation (I want to say the first was against Shawn Camp). Don’t do that pitch anymore. Kthxbye. 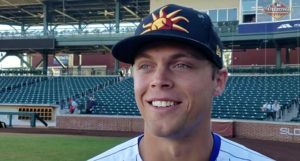 Cubs waiver claimee Daniel Bard is still working on getting back into form, and, although he won’t pitch for the Cubs this year, he tells the Tribune that he could pitch in a winter league in Puerto Rico, just to get some innings. In this year’s Arizona Fall League, Jim Callis – of MLB.com now, not BA – is most excited to see Kris Bryant on the positional side (outside of Byron Buxton, who was such an obvious choice that he was precluded from selection). Callis adds that he’s excited to see Albert Almora and Jorge Soler. With apologies to Bryant, I am far more interested in seeing Almora and Soler, because of their injuries. Arodys Vizcaino would have topped the list if he hadn’t been scratched from the league late last week. Writing for the Daily Herald, Burt Constable laments the end of the 2013 Chicago Cubs season at Wrigley Field, primarily because he’s not looking forward to a JumboTron next year (note: all present indications are that the video board will not be completed before or during the 2014 season). Constable goes on about how the fascinating conversations he had during the Cubs’ 5-2 loss to the Braves this weekend would have never materialized if everyone was utterly enraptured by a large video board, staring at it without any free will to look away. Constable is right, of course, as I have never had a single conversation during a ballgame at a park with a video board. I have also never wondered what actually just happened on that play, how the Bears are faring right now, or how Jeff Samardzija has pitched against Joey Votto this year. You know, now that I think about it, I have had conversations in parks with video boards. Lots of them. I’ve even had some that were driven by that very video board. Imagine that. I’m not an automaton after all. David Cross – oh so very funny – apologized for his rendition of Take Me Out to the Ballgame this weekend, but I really don’t think it was all that bad. Zubaz Night at Wrigley? Oh yes.